The program is stored in the flash memory of the microcontroller (on Arduino Uno boards this is the ATmega328p). You can upload your program on the microcontroller without the need of a dedicated programmer because of the microcontroller itself runs a small program named bootloader. 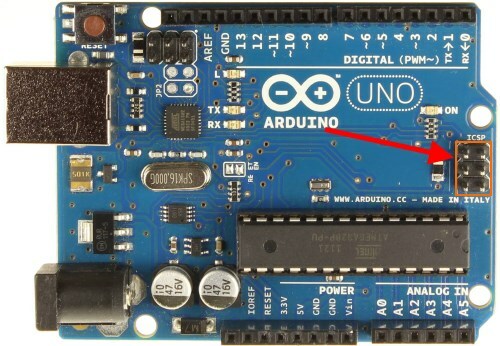 The bootloader used as of now on the Arduino Uno boards is named optiboot. 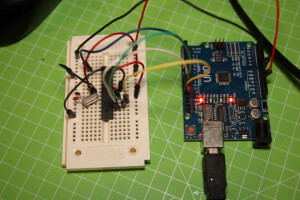 If you buy an ATmega328p chip and you want to upload your sketches on it using the Arduino IDE you have first to flash the bootloader in the chip. You usually need a dedicated programmer to program the chip. ATmega microcontrollers support a programming method named In System Programming (ISP), designed to program the chips directly on the board where theyt are located. 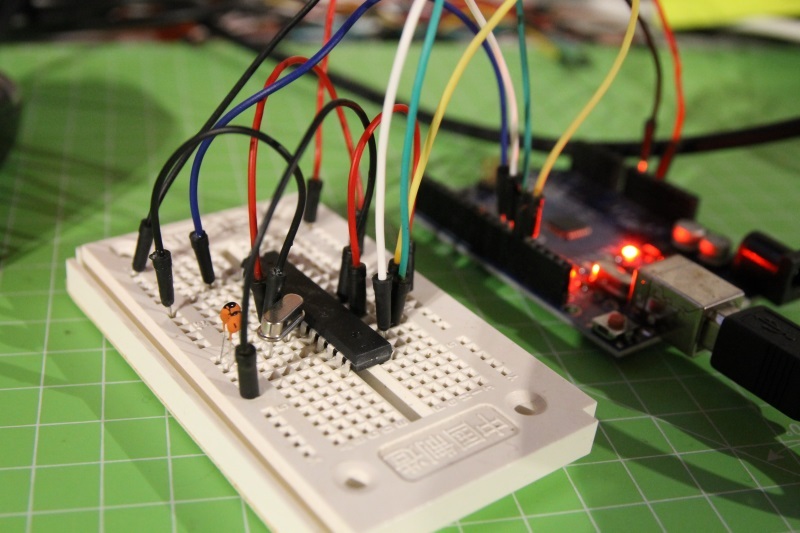 On the Internet you can find several ATmega programmers (for example this by Adafruit); very interesting is the possibility to use an Arduino as a programmer, thanks to the work of Randall Bohn. 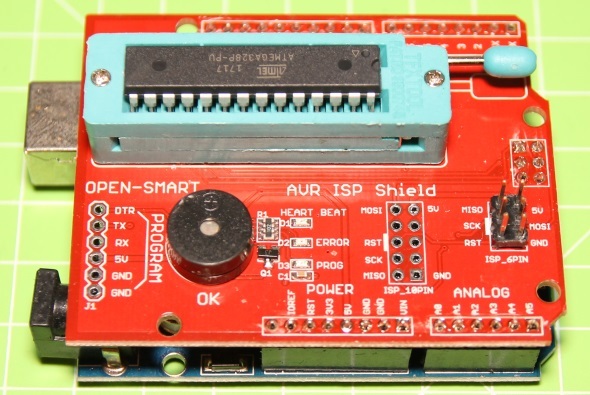 This shield has a ZIF (Zero Insertion Force) socket where the chip goes, some pins to connect it to external boards and a buzzer that is used to confirm the burn process with two beeps. On the Internet I found an archive with the documentation about this shield and the “official” sketch. You can also use the sketch shipped with the IDE, it won’t only activate the buzzer when the burning process ends successfully. 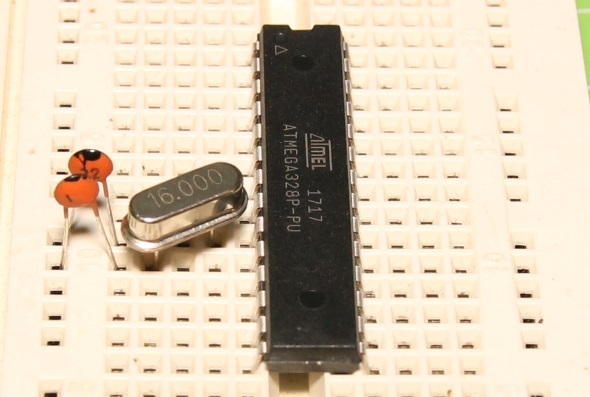 If you need to program several ATmega328p chips (for example if you’re building your Arduino-compatible boards) the use of this shield makes the programming process much easier and faster!